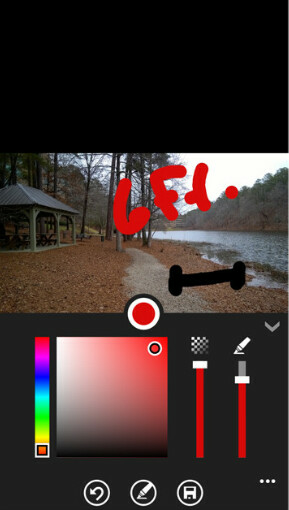 The Photo Marker for Windows Phone app does exactly what its name suggests it does. It allows you to mark up a photograph that you've taken with the camera on your Windows Phone device. 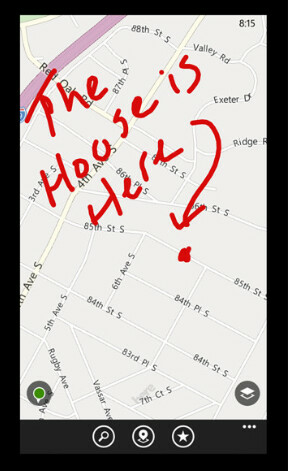 With the app, you can circle part of a photo you want emphasized or highlight part of a screenshot that you've taken of a map. The app has an intuitive UI and offers an undo and save button. You can choose the color, thickness and opacity of the marks you make and the marked up picture can be sent out via social media. While a stylus might help you be more precise with your drawing, a finger will work as well. 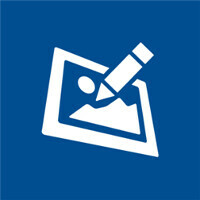 Photo Marker for Windows Phone is a free app available from the Windows Phone Store. You will have to put up with some ads, although an in-app purchase of $1.49 will eliminate them. Man, I have been looking for an app that dies EXACTLY this. Thanks PA! LOL, just noticed that. I meant does. I already have it, thanks. Great app, i'll use it, btw Alan do you onw a Windows Phone ?